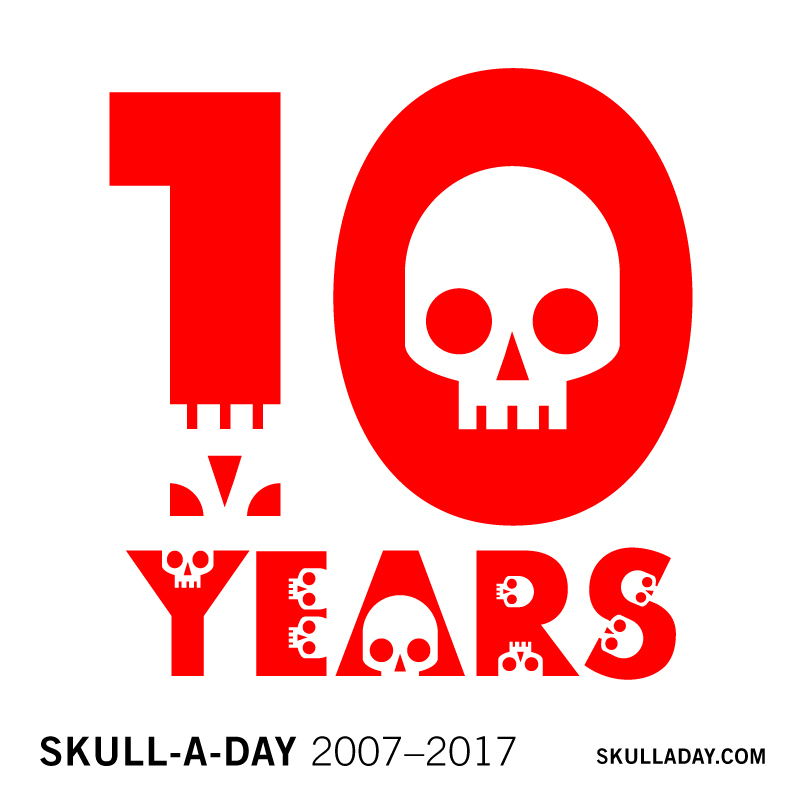 10 years ago today, I made a tiny orange paper skull that started a chain reaction that completely transformed my life! The Skull-A-Day project was a simple idea, meant to boost me out of a creative rut that I'd fallen into. I never expected it would lead me to a new career, opportunities to travel the world, multiple book deals, opportunities to show my art in museums and galleries internationally, and even a visit to The Martha Stewart show. I still get opportunities almost daily related to the project. 10 years of dividends on a 1 year investment is pretty amazing. All of this is the reason I consistently encourage others to take on the daily creative challenge. Even as small a commitment as 30-days is enough to create major changes in people's lives. Please join me in celebrating our craniums today by taking a moment to do one little creative act and sharing it with the world, you never know where it will lead! If you're a longtime fan of the project I'd love to hear from you below (when did you find it? how did it inspire you?). If you're up for a bigger challenge why not make your own 30-days of skulls starting today. If you share it with the #CreativeSprint & #SkullADay hashtags I'll track you down and give you a prize! Also if you haven't picked up a copy of the Skull-A-Day book, featuring all 365 of the original skulls, plus a great essay from the Mütter Museum's curator Anna Dhody, now would be a good time, as the publisher Chop Suey Books is offering it in combination with the new book I wrote with my sister Creative Sprint for a massive discount! Get it HERE. p.s. I'll be re-sharing the first 30 days of the project, starting today on Tumblr, Instagram, Facebook & Twitter. 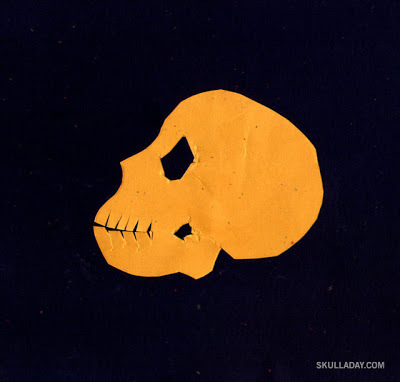 It is incredible to think it has been 10 whole years since you made that orange paper skull! I have been a fan of yours for years and I remember getting goosebumps looking at your daily skulls for the first time. Skull-A-Day inspired me to start my own 365 day creative challenge earlier this year (I am currently on Day 116!). Instead of skulls, I am creating fairies out of various materials to help me get creative every day. Keep doing what you are doing - you are an inspiration around the world!